Welcome to Deliver Express. Here we just don’t feed your stomach, but also feed your soul with a hearty and jolly meal of traditionally prepared authentic Indian cuisine dishes. 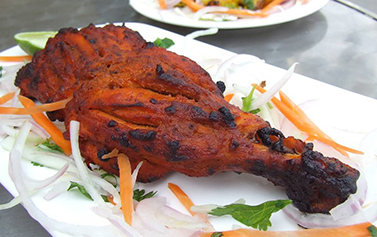 In Deliver Express we are really happy to offer the traditional taste and ambience of Indian cuisine for people of the UK, without tampering with the original taste and at the same time, making it easy on the British tongues. We love to serve the best Indian cuisines to your doorstep. You can order a sumptuous takeaway meal from our online ordering menu. We always assure piping hot meal. You are always welcome to choose from our delicious menu listing. You don’t have to worry about the quality of the dishes we serve. Only fresh ingredients and local produces enter the kitchen of Deliver Express kitchen. We are also very conscious of the hygiene standards here. And we can assure you, you will find a piping hot meal when you will open up the package.